12 Gifts of Christmas with Ideas and Video Tutorials eBook. Last year, I produced a free eBook called the 12 Gift Giving Ideas of Christmas. This eBook featured items I had selected for gift giving ideas as well as home decor projects. Kristen Mangus, host of GoodKnit Kisses on YouTube also participated in providing a couple projects for my eBook. Inside this free downloadable eBook, you will find video links to play directly. Inside the book I have scarves, ornaments, broomstick lace, jewelry, wreath and the ultimate Crochet Christmas Tree as seen on the cover of this eBook. 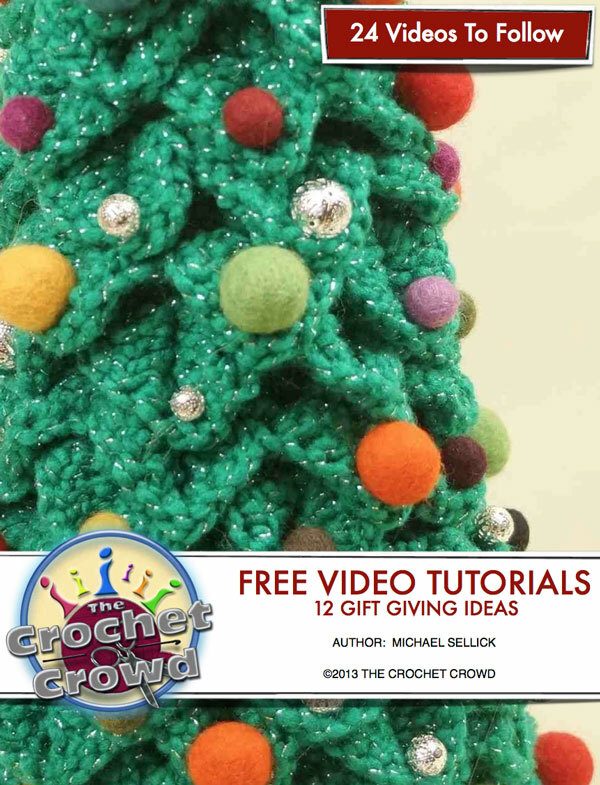 This entry was posted in Christmas and tagged Christmas, Crochet, crochet crowd, E-book, eBook, Gift, Holiday, Mikey, YouTube. Bookmark the permalink.